It doesn’t take a rocket scientist to be able to tell us that the world is changing. With the growth of new markets and newfound access to developing ones, this is a truly a revolutionary time to be alive (and in business). With this change in accessibility to the rest of the world, we can find a whole new host of opportunities. Markets have been evolving to meet the changing demands of a worldwide audience and the question is now begging to be asked: just how high can the private jet charter industry soar? • Private flying is an experience exclusive to the rich and famous: It’s not always clear where people get their ideas from. For example, the thought that private jet charter is an industry that only caters to the rich and famous is simply incorrect. There are a variety of opportunities making it possible for one to get started in this business and be rewarded for it. As it turns out, the biggest barrier to entering the industry is a lack of knowledge and preparation. • It is a waste of money: Just because a business went under doesn’t mean the entire industry is hopeless. The idea that the private jet charter business is unprofitable has come from businesses that failed for a variety of reasons. Often, it was a case of their own lack of planning that did them in. • You won’t be able to get customers: If you’re operating under the assumption that only the rich and famous are the ones taking part in the private jet charter business, it’s not a shock that you might think this. The truth of the matter is that affordable and varied options have made it possible for a large number of people to enter into the industry. 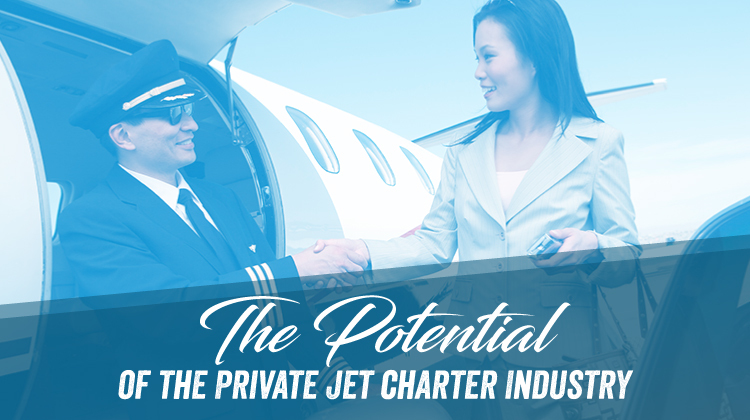 While the naysayers may tell you otherwise, the private jet charter business has only reached a fraction of its incredible potential!